TM-1080 Centerless Grinding Machine - Buy Automatic Centerless Grinding Machine, Centerless Grinder Machine for valve, CNC Centerless Grinder Machine for valve Product on Professional China Valve Grinder Manufacture- Suzhou Tianzhijiao Precision Machinery Co., Ltd.
Centerless Grinding machine is universal equipment. It is used for grinding stem of engine valve. 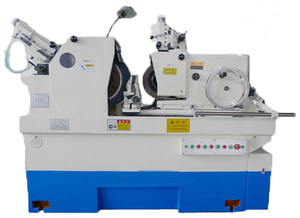 Centerless grinding machine is universal equipment. It can process stem of engine valve. Centerless Grinding Machine is universal equipment. it is used to process engine valves (inlet valves and exhasut valves) in cars, motorcycles, trucks, and other engine valves.